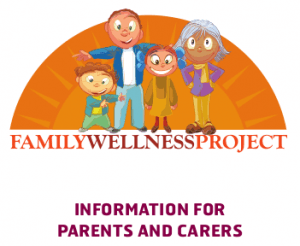 Want to find out more about how the Family Wellness Project works? The aim of the project is to support children aged 5-12 years who are experiencing emotional health and wellbeing difficulties. Click on the icon on the left to download our information leaflet to learn more. Article 18: You have the right to be brought up by your parents if possible. A child or young person's parents/parent will have the main responsibility for taking care of them. Their parents/parent should be concerned with the best interests of the child or young person. Article 24: You have the right to the best health and medical care possible. Children have the right to be as healthy as possible including have good enough nourishment from their food, be able to live in a safe & healthy environment & have the right to information about their health. Article 27: You have the right to have a good enough standard of living. Children have the right to to a good standard of living to make sure they have good physical and mental health. Parents/guardians should enable them to live in a way that helps them reach their full potential. Mental health can feel like a difficult subject to tackle, especially with young children. The Family Wellness Project webpages aim to help you with different aspects of mental health. The aims of the family resources are to keep you informed so you feel more confident about talking to your child about mental health, and to enable you to support your child in managing their emotions and understanding more about their feelings. Explore what makes children angry, how to identify it and what they can do to try and stay calm. Find out how to help your child manage stressful situations. Self-esteem affects how we think and feel about ourselves. Take a look at some books you can read with your child which can help them explore mental health. Support if you are concerned about the effects of bullying on your child's mental health. Find out more about building your child's ability to cope with difficulties and setbacks. Information and support on depression for families. More about how to support a child with worries and anxieties.